This website provides the technical and implementation details for Airtrack. Airtrack was first published in the paper titled Air-Track: a real-world floating environment for active sensing in head-fixed mice in Journal of Neurophysiology 1 October 2016 Vol. 116. The paper can also be found on ResearchGate. This means that we haven't fully finished building the website yet, still we cover the basics needed to build a fully operational air-track platform. The final release of the website will contain a step-by-step guide on how to build the platform and connect the hardware as well as a more detailed explanation on how to configure code to fit your needs. 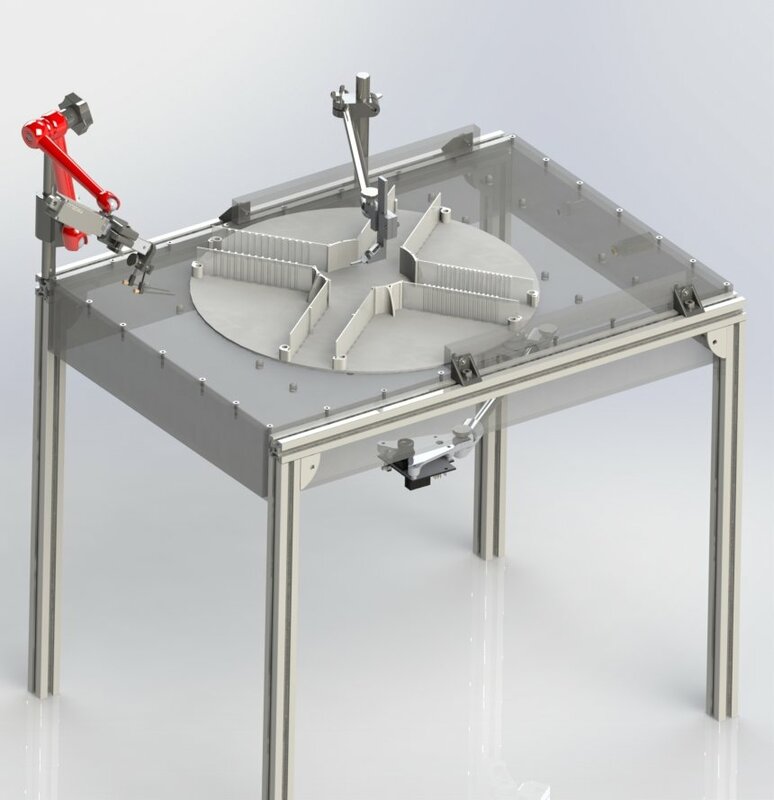 The following video illustrates the airtrack table design and the placement of the different components. The platform size should be customized according to your needs. The only thing to note is that as the table size increases, the more air lifting power is needed. Accordingly, the material used to build the air table should withstand the air pressure pushed through it. Please look at both PDF files as their content differ in the levels of details of the information. 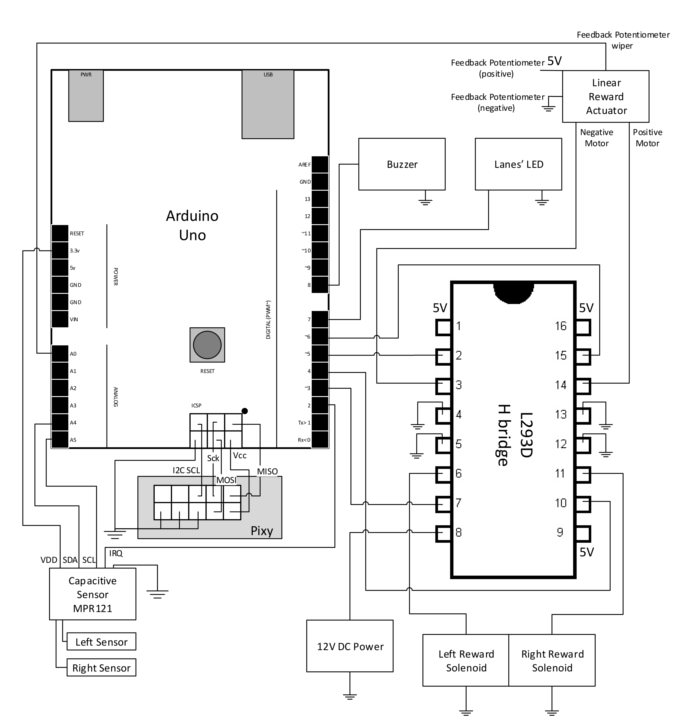 The code for Arduino can be found on Air-track git-hub page. Use the form below to contact us or just leave your email below with an empty message to get notified once the full version of the website is launched. © Copyright 2015. All Rights Reserved. Air-TRACK.